VOLT, a blockchain-based P2P delivery platform dedicated to enabling direct P2P delivery, is all set to start their ICO presale campaign on April 18. The company has created a direct P2P the model that aims to improve the existing centralized delivery platforms and reduce the fees by allowing effective communication between the customers and messengers. April 16, 2018 - VOLT is pleased to announce that their ICO presale campaign will get underway on April 18, 2018. A blockchain-based P2P delivery platform, VOLT is looking to bring the benefits of decentralization to the existing centralized platforms such as Uber, and enable direct delivery through P2P. The company claims that their P2P direct deal model will significantly reduce or even eliminate the brokerage fee. The ICO campaign will continue for a month, offering a total supply of 2,000,000,000 VOLT tokens for sale. The global delivery service market has experienced significant growth over the last few years as the online shopping market is expanding by more than 20% every year. However, this growth has been plagued by several serious shortcomings such as vague price estimation, delivery speed limitation, insufficient quality and inconvenient interface of the existing delivery service market. VOLT was developed to address these pitfalls, utilizing the power of the groundbreaking blockchain technology. 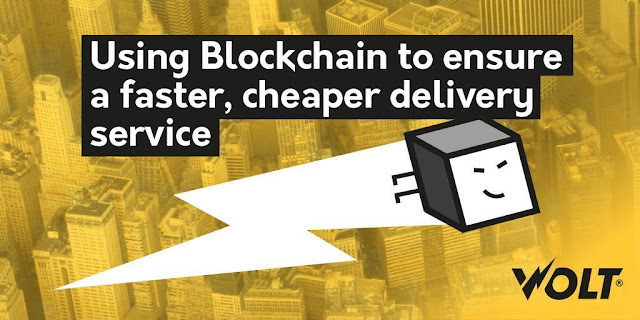 VOLT makes use of smart contracts to significantly reduce the price of delivery for customers by eliminating the dependence on the centralized system between the participants. On the other hand, it promises to create a win-win situation for both the messengers and delivery companies by allowing them to increase their income. VOLT will also eliminate the time and technical constraints so that the platform can be used by everyone. Leveraging Big Data technology, its automated system offers a service that is extremely user-friendly. Barring a few exceptions, most of the companies across the world can only offer next delivery. Same day delivery is beyond their capacity because of the inadequacy of their centralized delivery systems in terms of improving the speed and lowering the price. VOLT's P2P delivery platform has implemented a system that takes advantage of messengers nearby or the network between the messengers to reduce both the price and delivery time. VOLT’s same day delivery is capable of shortening the delivery time to one to five hours, compared to that of one to three days for the existing online shopping malls. Being a decentralized platform, VOLT has done away with the middlemen or brokers, leading to lower cost for the customers and maximum profit for the messengers. This highly transparent ecosystem offers a secure payment system where two authenticated P2P entities are able to send and receive money that gets held in VOLT tokens until after a successful exchange of services between the two parties. This ERC20 based cryptocurrency is the official medium for all transactions taking place on this platform, and the customers require these tokens to submit their delivery request. Mentioned below are some key details related to the upcoming VOLT token ICO. Token distribution: 50% for sale, 23% for company reserve, 22% for the team, and 5% for marketing. Fund allocation: 60 for core development, 10% each for marketing, sales, and operation, and5% for legal, and security and audit.